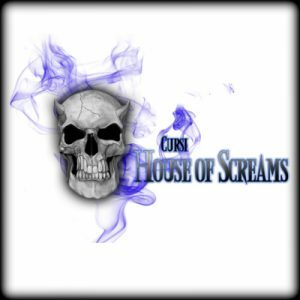 Cursi House of Screams is a Haunted Attraction located in Concord, CA. Team In-Corpse-A-Rated reviewed this attraction on October 31, 2016. In the Bay Area suburb of Concord, there is a family who has been keeping the Halloween spirit alive for 16 years by converting their private residence into a home haunt. Cursi House of Screams is an institution for this local neighborhood as a line of people gather for Kyle Cursi and his wife’s 2016 show. As I entered the property, I saw a waiting room where Mrs. Cursi organized the guests as to where to sit and who gets to get in line to enter the haunt. Kyle was kind of enough to step out of the haunt and answer a few questions, but he had to go back in because he was one of the actors. The haunt itself, is family friendly and quite nostalgic. Cursi House of Screams is an insane asylum haunt, where Dr. Satan welcomes his guests to be operated on in his surgery room and then then you can take a look at what else lurks in the house. There is a black room with fluorescent polka dots where an actor is camouflaged in a spandex outfit with the exact same color pattern lunging at guests (this is an old gag I haven’t seen in 10+ years). Then, guests walk through a short maze made of pallets stacked on their sides to a jail with an inmate. From there, guests exit along the side of the house back to the outside. It’s a short but sweet trip. A hospital nurse welcomed me in and gave the rules of entering the haunt. Upon entering, there was an actress in a bathtub behind a bloody shower curtain who happened to know my name (I wonder who told her)? Next was the surgery room where Kyle played Dr. Satan… a campy and fun character who offered his services for tooth, arm, leg and brain extractions. When I made a comment, Dr. Satan had a quick answer. There was a nurse assistant in the room, but he didn’t say or do anything. The actor in the polka dot room, however, did a fantastic job. I’ve seen this bit before and I knew someone was blending in with the wall, but I couldn’t find them. Just when I had a moment of doubt and thought there wasn’t anyone there, the actor startled me. Well played, indeed! I noticed someone staring at me in the jail; I expected that person to lunge at me, but he didn’t move. Honestly, I was disappointed with that; at least try to scare me, please. The inmate behind the jail cell looked at me and then quickly shook the jail bars. From there was the exit way out of the haunt. The actors’ wardrobe was good for a home haunt. The nurse and Dr. Satan had appropriate medical clothing and Kyle wore a monster mask while portraying his character. The actor in the polka dot room blended in with his surrounding perfectly; better, in fact, than several professional haunts that have done this in the past. The inmate in the jail cell had appropriate prisoner attire and decent ghoul make-up. Cursi House of Screams is safe and wheelchair friendly. I wasn’t aware of seeing any emergency exits, but they usually aren’t required of “home haunts.” There were no signs or billboards outside of the house. After my GPS led me to the street, I had to ask a neighbor which house it was. The main staff members were Mr. and Mrs. Cursi and they were very friendly and willing to answer questions. Mrs. Cursi handled the crowd like a pro as she had guests sit down in the waiting area and then direct them to the entry of the haunt. Outside, on the driveway, was a porta-potty for guests. No concessions or souvenirs available. Outside of the house, the only things that called attention to the location being a haunted house was a red porch light and an inflatable Halloween graveyard archway that was bought at a department store. Inside the archway was the garage converted into a hospital waiting room. Mrs. Cursi had every guest who entered the archway sit in a waiting chair like the ones you see in a hospital. There was a large mural of a hospital hallway that looked very cool. The mural showed decaying walls and old-fashioned hospital beds. This piece of art was helpful at establishing the theme. There was no music or sound effects. Nothing about lighting really stood out. The bathtub room looked scary with the blood on the shower curtain, but the surgery room had a more campy and playful look. There was a dentist chair with operating tools and body parts, but the room wasn’t gory by any means. The polka dot room was set up very well; better, in fact, than some of the professional haunts who used this gag years ago. There were haunts I’ve paid for where you could see that actor against the wall before they made the lunge. Kudos to Cursi for doing this right! The pallets turned on their sides for a maze effect was another tactic I haven’t seen in awhile. The jail set was OK, but not very realistic. When I exited the jail and walked along the side of the house, there was a façade of a stone wall with jail bars. The theme of Cursi House of Screams is an asylum haunt. For the most part, Cursi sticks with the theme except for the polka dot room. Asylums are a common theme for haunted house and, for the experienced haunt attendee, there’s nothing new here. There was really only one scare in the haunt: the polka dot room. That actor knew how to hide and lunged at the perfect time. The girl in the bathtub cackled and called out my name and Dr. Satan was humorous, but neither were particularly scary. The inmate in the jail room tried to generate a scare by shaking the jail bars, but the timing was pretty off. I was hoping for an actor or something to make a final scare at the stone façade, but there was none. Cursi House of Screams took about 5 minutes to walk through, but (with free admission) you can’t complain. I would have liked to have seen something more – perhaps along the side of the house – and see something more in the front of the house that would call attention to there being a haunted house here. With 16 years experience of haunting, I can’t argue with Kyle Cursi’s place as a local institution. The effects were old, but the audience was young. After I exited the haunt, the line to get in just grew longer and longer. It’s obvious that Cursi House of Screams is very meaningful to the neighborhood.